Rebuilding your transmission is a fun way for you to do a major overhaul on your car while saving yourself much money. Depending on the model of your vehicle, you might be considering buying a 700r4 transmission. Before purchasing one, it’s important to know the 700R4 transmission specs. This will help you determine whether this is a suitable model for your car. You’ll also want to weigh the benefits and drawbacks of this type. 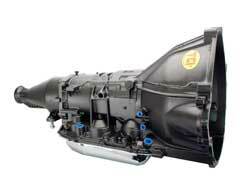 Here are some of the pros and cons of the 700R4 transmission. Let’s start with its benefits. Some of the perks of the 700R4 transmission is its overdrive, low first gear and removable tail housing. Drivers also enjoy the arm mount and the fact that there is a good selection of cores for this model. Meanwhile, there are several drawbacks to 700R4 transmission. For one, there’s a sizable jump from first to second gear that many drivers don’t enjoy. Additionally, many do not like the cables with this current model as they are finicky. Along with the pros and cons, it’s important to consider what’s available when doing an overhaul for this type of transmission. If you are looking for a 700R4 transmission for sale you are in luck as many places sell them. One of the best stores to buy this model is on eBay. As long as the seller has a great rating you’ll receive a good quality item at an affordable price. They also have a huge selection of other accessories for the 700R4 transmission. Another great way to make the transition is with 700R4 transmission rebuild kits. These packages include all the accessories you need to make a successful conversion. Many websites like Monster Transmission & Performance sell these items. Ultimately, it’s up to your preference whether this model will work best for you. While it does have many good features such as the low first gear and removable tail housing, some do not like the rough transition from first to second gear. Therefore, if you do not mind the few drawbacks, then you’ll enjoy this transmission.